A Diamond Select Release! Designed and Sculpted by Art Asylum! The battle continues! 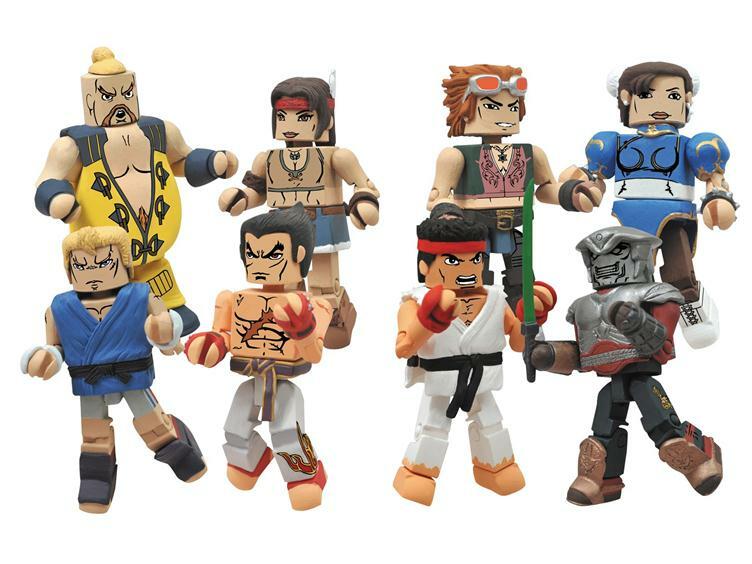 This all-new assortment of Minimates based on the popular new game features the superstars of the Street Fighter and Tekken franchises, paired up and ready to fight! Series 2 includes Ryu vs. Yoshimitsu, Abel vs. Kazuya, Chun Li vs. Hwoarang and the short-packed Rufus vs. Julia! Each Minimate stands 2 inches tall with 14 points of articulation and a variety of removable and interchangeable parts and accessories.